If you think writing a blog post is over when you click the publish button, Hello I think you should take a shower and think again. Blog posts, (no matter how epic they may be) are useless unless you promote the heck out of them. If you don’t know how to manage time to promote blog posts, where to share your blog posts or are looking for ways to share your blog posts automatically on Google Plus, Facebook ,Twitter pinterest etc., this is the post you had been looking for. This post tells you how to manage social media promotions very well. You May Also like : Seven (7) Things That Attract Picking Pocket By chidi young. Writing the blog posts were always the mid-step to successful blogging, the other half includes sharing the post with other relevant people, and readers who would find it useful. Unless you are one of the kinds of sites Darren Rowse has or John Morrow has, it’s you who has to tell people that your blog is updated not the other way round. Social media is not bad and is equally a blogging strategy like research or SEO. But, my point is why should you waste time on a thing that can be left on auto-pilot or automated . Here are some tips on promoting your blog posts automatically as soon as they are published on your blog. Read diligently the tips for social sharing of your blog post given and you will save hours in promoting your blog post on social media. After writing a blog post, we have the boredom task of promoting our post to maximum social networks and other blogging communities. Here is what I use to get the hard work minimized. In this section, we will talk about how to submit posts without any work on our end, automatically as and when it is published. Onlywire is an wonderfull tool for bookmarking your posts to nearly 30 sites simultaneously without even a single click. All you need to do it get an account on the platform and add your blog RSS to your profile. Onlywire is probably the best free alternative to automated social posting. It is available as web form, a share button for your website and also as a browser extension and WordPress plugin. It posts up to thirty networks for free, and up to 50 networks, and three RSS feeds (that means three blogs) in paid mode. For 90% of us free mode is enough. Tweeterfeeds is a good service to make automated publications on social media. It can automatically publish blog posts to your selected social media channels as and when your posts happen. Twitterfeeds recognizes blog post through your blogs RSS feeds and then promotes them to either or all of your social media channels. Hootsuite is just more than an auto poster to social networks. It does pretty more than just sharing and includes tasks like scheduling updates, monitoring social analytics, etc. You will read more about other awesome features of HootSuite later in the post. For now the auto-posting feature of HootSuite is not as bad as twitterfeed. You have got more channels to promote your stuff like the Google plus pages, and LinkedIn company pages that twitterfeed doesn't allow. Moreover, you can have separate settings for separate social media channels so that your tweets are different from your Facebook updates and vice versa. Jetpack is a special plugin especially for WordPress bloggers that are yet to explore the rich functionalities of WordPress.org. Jetpack is like a backpack that has almost everything you need. The publicize feature of Jetpack allows you to automatically share your WordPress posts to various social media channels too. Although it may seem lucrative but as they say all things that come free come with a hidden price. People using the jetpack plugin complain that they have been cheated by jetpack that uses your brand power to promote WordPress.com, which is its parent company. Yes, when you post an update via jetpack the status appears as “Jack posted on WordPress” instead of “jack posted on yoursite.com”, the link also shows no sign that it is from your blog. So if you are okay compromising your brand with free stuff you can opt for jetpack otherwise as I said SNAP PRO has no substitute. Triggering on social action means you do a small deed and gets huge social shares by default. Though this is not essentially auto-posting but comes in the dimensions of automated social shares. There are many sites that are community-based, and you post each other’s stuff and in return they post yours. This can strategically use as an automated process by giving at least 15-20 minutes week time and gain auto shares and tweet through the week. Buffer is a scheduling and bulk social posting tool that has both free and paid plans. You can manually add links and posts with only text or pictures on it or use its browser extension to share a web page directly on the social profile. Through buffer, you have to literally invest less than 60 seconds to schedule a page to be shared across different social channels and that too at different times for the week. Triberr is a social network/community for bloggers. You can use it to get in touch and build relationships with influencers in your niche. Once you have a set tribe of your own or are a member of any tribe there, you have to invest as little as 10-20 minutes a week to interact and share the stuff of the tribemates. This will bring you on their radar, and they will start sharing your posts as and when they are live. Triberr is also RSS based so if someone has put you on auto post your posts get shared to their social networks (Twitter, Facebook) as it is caught by the RSS reader in triberr. 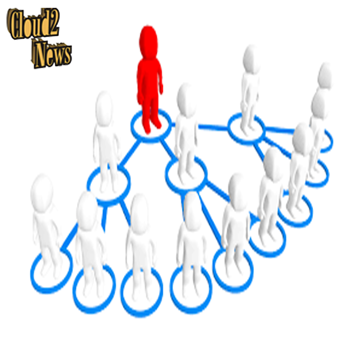 Learn: How to Get Traffic From Google Plus? The ultimate list of social sharing tools (automated) goes on, what’s important is you should choose one that is power packed and value for money. There is no point in wasting time in manual labor when investing a few bucks can get the task done automatically and that too in a very efficient way.